Does your business utilize company vehicles as part of your day to day operations? Are you an entrepreneur looking for a way to get the name of your new venture in front of more eyes? Do you travel to jobsites to perform contractor work? 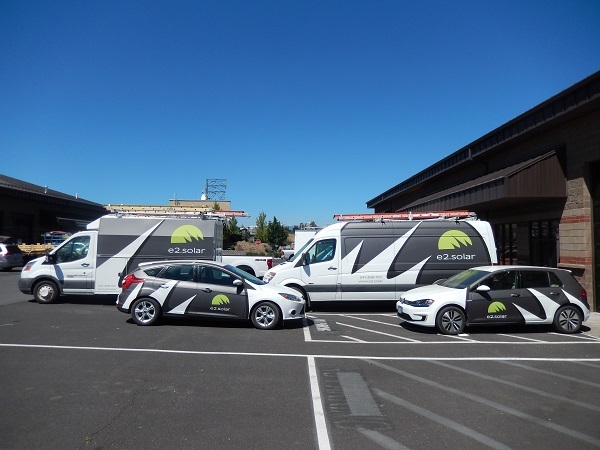 If any of these sound like you, then you should consider vehicle graphics for your car as you drive around Central Oregon. Full vehicle wraps - This is the most expensive option, but it also tends to have a big impact. Full vehicle wraps cover just about every inch of your car, truck, van, or even boat with your marketing message. Color change vehicle wraps can even be used in place of a paint job if you are interested in changing the look of your car without potentially hurting the resale value. 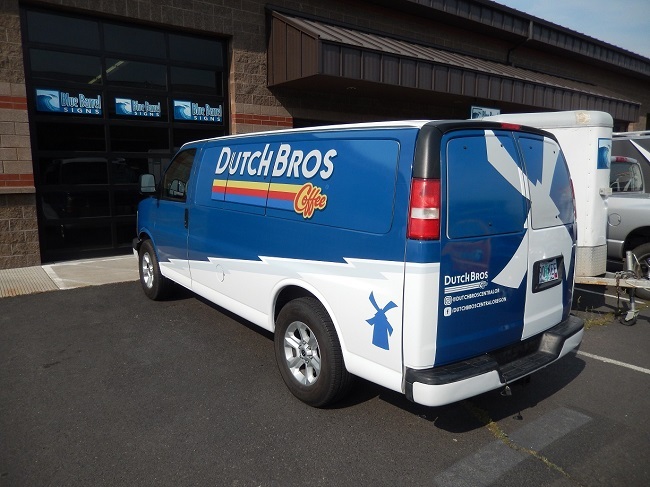 Partial vehicle wraps - This is a more cost effective alternative to full wraps, yet when working with the colors of your vehicle, partial wraps can be made to resemble a full wrap. If you just want to wrap the front of your vehicle or the back or any other section of your truck, this is the ideal solution. For all of our wraps, we stand behind the quality of the vinyl we use. Vinyl window perf - This versatile option consists of vinyl with many tiny, barely noticeable holes in it. This allows the driver to see out of the car while displaying whatever message you want consumers to see. Vinyl window perf works great when you want to use all of the surface area of your vehicle to advertise. It is also smart for buses and other vehicles with plenty of window space. Vinyl decals and stickers - Does your enterprise have a colorful logo? Do you have some vibrant photos of your handiwork or best-selling products? If so, you can show these off with vinyl decals or stickers on the side of your work van. 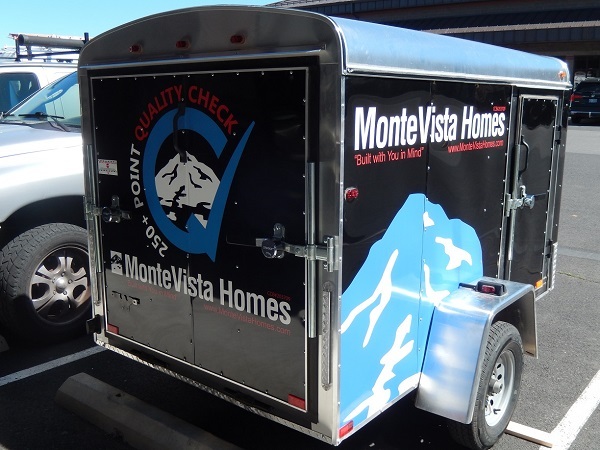 Vehicle lettering - The most affordable way to put your company name on your fleet of vehicles is with vinyl vehicle lettering. There are a number of standard letters and colors to choose from, or if you want to match your specific fonts and colors, truck lettering can be custom printed and cut. Combine - You can combine any of the above alternatives. 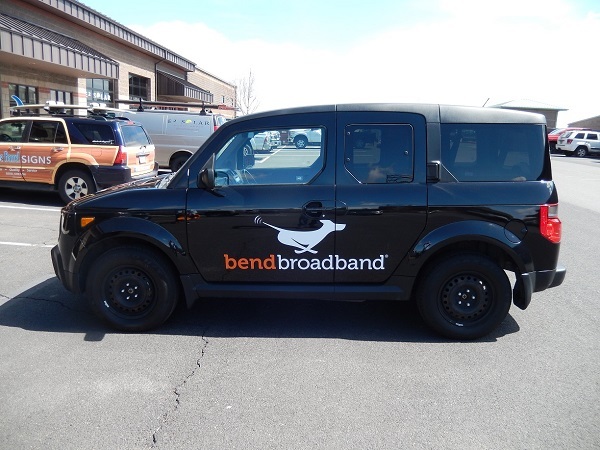 For instance, vehicle stickers feature your specific products or services while you use lettering to display your business’s name and contact information. Wraps and vinyl window perf work well together in changing the appearance of your automobile and marketing on every available surface. Are you unsure about what is best for your purposes? No problem! We work with customers in Bend, Lapine, Sisters, Redmond, Prineville, and Madras to come up with strong solutions that fit your budget. If you are interested in learning more, please consider contacting Blue Barrel Signs today for a free consultation and quote.